Apple has long been known to raise the price of its devices above what is necessary with the so-called “Apple tax.” While this tax has not actually disappeared as some have claimed, the price of its newest Mac Pro shows that working with AMD allowed the company to bring down the price of the computer below a PC equivalent. 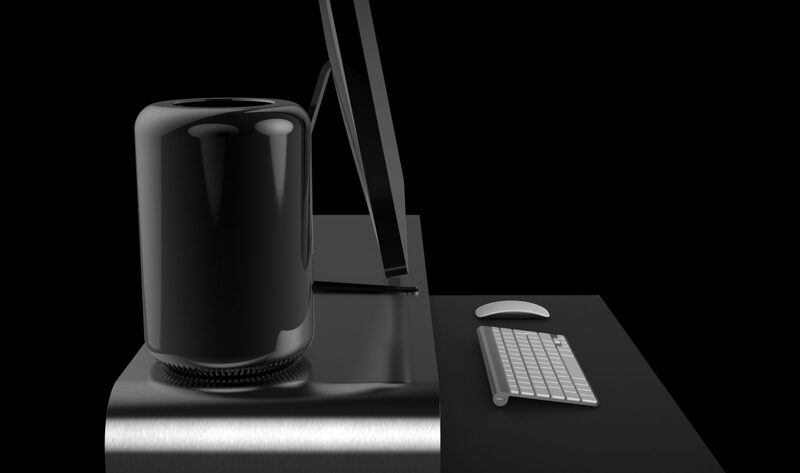 When the new high-tech trashcan-like Mac Pro was revealed and still in its rumor phase, many PC fans dismissed it with the thought that building an equivalent PC workstation would actually be cheaper. Based upon nearly all of Apple’s previous computers, this theory makes sense but in this case, it simply did not work. It turns out that if someone were to try and build a workstation with the same or equivalent components as Apple’s Mac Pro, they would spend around $2,000 more, particularly because of how cost efficient the AMD graphics cards in the Mac Pro are. Of course, a slightly different story is told upon taking to Apple’s Mac Pro configuration panel which is meant for people that want to customize and upgrade their computer before ordering. Simple upgrades such as one for a faster processor end up costing $3,500 when purchased from Apple even though the CPU in question retails for as little as $2750. This means that on the component level, the Apple tax is still in full effect but when the whole Mac Pro is put together and sold, the cost comes out to be less than a PC. The AMD FirePro series of graphics cards present in the new Mac Pro are unique to Apple’s computer and while its specs are different from pre-existing AMD cards, the price difference is far more substantial than the spec difference. Once you realize that the dual FirePro GPUs present in the Mac Pro each cost between $750 and $1000, it becomes clear where the cost effective nature of the Mac Pro actually comes from. For PC builders, a workstation card from AMD would cost around $3300, making Apple’s $750 price tag incredibly appealing. Now, of course, Stephen Fung of futurelooks.com who added up the cost of the Mac Pro compared to a PC decided to use the most expensive Mac Pro against an incredibly expensive PC with similar performance. The official totals for the Mac Pro and PC came out to $9,599 and $11,530.14 respectively which is where the $2,000 price difference comes into play.